This is the Aylesbury Festival Choir Website! 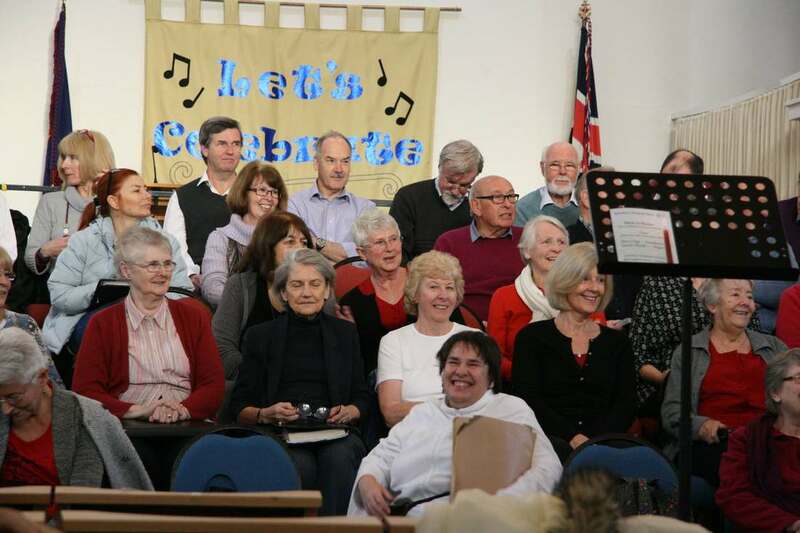 Established in 1958 and singing continuously ever since, we are a welcoming and friendly choir in Aylesbury, always pleased to see new members. Two main concerts are staged each year by the full choir, and smaller groups sing at events such as weddings and carol concerts. Membership can be on a per-concert basis, or for a full year. Click To Buy Tickets When On Sale! For any questions about our concerts, or about joining us as a singer, don't hesitate to get in touch by using our Contact Form, or send us an email directly. Our Spring Term has now finished. Rehearsals for our next concert in November will start on 5th September 2019. On 12th September we will be holding an "Open Rehearsal", so if you'd like to try out singing in a choir, free and with no obligation, do come along. What's it like to sing with Aylesbury Festival Choir? Want to advertise your own concert? "What Others Are Doing" page for details. 30th November 2019 7.30 p.m.
A selection of favourites including Cantique de Jean Racine (Faure), Hallelujah Chorus (Handel), Locus Iste (Bruckner), Blest Pair of Sirens (Parry) - and a new composition by our own Music Director written to celebrate our 60th anniversary. Thinking of joining us, but not sure what's involved? Like to find out more about our music or our people? Want to comment on this website, or ask any other questions? 25th April 2020 7.30 p.m.
28th November 2020 7.30 p.m.